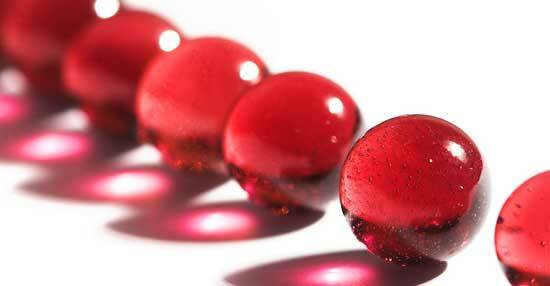 An Inspiring Story About Red Marbles! I was at the corner grocery store buying some early potatoes. I noticed a small boy, delicate of bone and feature, ragged but clean, hungrily apprizing a basket of freshly picked green peas. I paid for my potatoes, but was also drawn to the display of fresh green peas. I am a pushover for creamed peas and new potatoes. Pondering the peas, I couldn't help overhearing the conversation between Mr. Miller (the store owner) and the ragged boy next to me. "Hello, Mr. Miller. Fine, thank ya. Just admiring them peas. They sure look good." "Fine. Gittin' stronger all the time." "No, Sir. Just admirin' them peas." ''Would you like to take some home?" asked Mr. Miller. "No, Sir. Got nuthin' to pay for them with." "I can see that. Hmmmmm, only thing is, this one is blue and I sort of go for red. Do you have a red one like this at home?" the store owner asked. "Tell you what. Take this sack of peas home with you and next trip this way, let me look at that red marble", Mr. Miller told the boy. Mrs. Miller, who had been standing nearby, came over to help me. With a smile said, "There are two other boys like him in our community, all three are in very poor circumstances. Jim just loves to bargain with them for peas, apples, tomatoes, or whatever. When they come back with their red marbles, and they always do, he decides he doesn't like red after all and he sends them home with a bag of produce for a green marble or an orange one, when they come on their next trip to the store." I left the store smiling to myself, impressed with this man. A short time later I moved to Colorado , but I never forgot the story of this man, the boys, and their bartering for marbles. Several years went by, each more rapid than the previous one. Just recently I had occasion to visit some old friends in that Idaho community and while I was there I learned that Mr. Miller had died. They were having his visitation that evening and knowing my friends wanted to go, I agreed to accompany them. Upon arrival at the mortuary we fell into line to meet the relatives of the deceased and to offer what ever words of comfort we could. Ahead of us in line were three young men. One was in an army uniform and the other two wore nice haircuts, dark suits and white shirts... all very professional looking. They approached Mrs. Miller, standing composed and smiling by her husband's casket. Each of the young men hugged her, kissed her on the cheek, spoke briefly with her and moved on to the casket. Her misty light blue eyes followed them as, one by one, each young man stopped briefly and placed his own warm hand over the cold pale hand in the casket. Our turn came to meet Mrs. Miller. I told her who I was and reminded her of the story from those many years ago and what she had told me about her husband's bartering for marbles. With her eyes glistening, she took my hand and led me to the casket. "Those three young men who just left were the boys I told you about. They just told me how they appreciated the things Jim 'traded' them." "Now, at last, when Jim could not change his mind about color or size... they came to pay their debt." "We've never had a great deal of the wealth of this world," she confided, "but right now, Jim would consider himself the richest man in Idaho". With loving gentleness she lifted the lifeless fingers of her deceased husband. Resting underneath were three exquisitely shiny red marbles. The Moral of this story: We will not be remembered by our words, but by our kind deeds. Never be in too much of a hurry to even notice the ordinary miracles when they occur. It's not what you gather, but what you scatter that tells what kind of life you have lived!